Taking a longer view of their retirement plan strategies can help employers offset challenges they’re experiencing with a workforce that is not financially ready to retire. There’s a lot of concern among employers over the retirement readiness of their employees. It’s not just that rising healthcare costs pose financial hurdles for the organization. Employers aren’t confident that their workers’ retirement savings will last as long as they do. Employees are concerned, too, which might explain why 56 percent of people over age 60 have delayed their retirement (up from 46 percent in 1996). That saddles employers with increased costs associated with higher wages and higher utilization of healthcare by older workers. Developing a multi-year retirement planning strategy that considers the bigger benefits picture can create long-term value for the company and employees. It’s not uncommon that once employers complete the nuts and bolts aspects of their retirement plans (like choosing appropriate funds, making sure they’re competitive from a fee standpoint, developing a schedule for evaluating the funds, etc. ), they don’t have a longer-term strategy to optimize plan participation. Early Initiative: Auto-enroll/auto-escalation. These plan design features should be factored into your RFPs for vendor negotiations. Why? For starters, nearly 90 percent of employees who are auto-enrolled in their plan stay in it. Plus, auto-increasing your 2 percent withholding rate by 1 percent annually until the 8 percent maximum is reached improves retirement readiness and your balance sheet. A big driver of 401(k) plan pricing is projected growth. Vendors tend to be more cost-competitive when auto features are added to the mix. Early Initiative: Tech tools and the enhanced employee experience. It’s key to make sure employees have access to tech tools that are of the highest quality for managing and monitoring their investments. That means fast, easy online access to check on the status of investments and the latest apps for financial planning. Technology is now one of the most important considerations in selecting a 401(k) partner as it’s key to appealing to a younger workforce who prefers online experiences. Ongoing Initiatives: Education. Providing access to tools is one thing. Educating employees on how to get the most out their 401(k) plan is another. If employees are not engaging with the educational programs you offer, it’s important to ask them why. Understanding their preferences regarding topics, timing and format will enable you to refine your approach. Your educational efforts will succeed in the long run if you listen and tailor your programs to meet employee needs. Ongoing Initiatives: Plan structure considerations. Fiduciary partners can provide strategic value to their plan sponsor clients by guiding them on how to tweak plan design over time to improve results. The idea is to look outside the box to find ways to improve participation or fix issues that arise. For example, most employers provide some level of matching contribution, but formulas vary and some employers put a cap their matches. This can affect participation. Match forecasting is valuable for helping your organization budget for what is often the largest expense associated with your plan, but also can spur participation. A match typically isn't worth doing if it isn't incentivizing employees to save and to help propel their plan growth. Investment committees should also continually look to implement automated features, adding a Roth component, or potentially providing executive benefits to certain key employees, like deferred compensation plans. 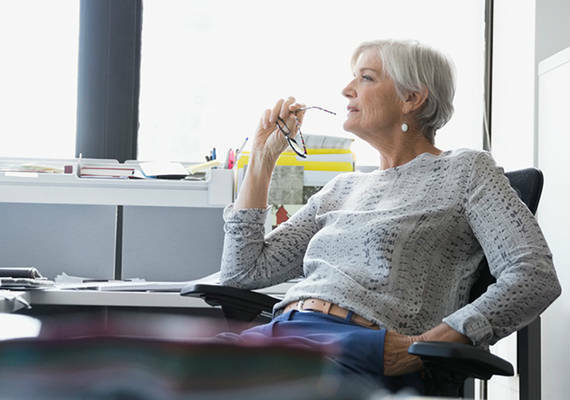 When the retirement plan has been set up and managed strategically over time, everyone’s interests will be served and “retirement readiness” will be more than just another benefits buzzword. It will be a reasonable – and achievable – aspiration of your employees. HUB International’s team of retirement plan fiduciary advisors provides ongoing guidance on your plan’s structure and management. *Securities offered through Registered Representatives of Cambridge Investment Research, Inc., a broker-dealer, member FINRA/SIPC. Advisory services offered through Cambridge Investment Research Advisors, Inc., a Registered Investment Advisor. Hub International Investment Services Inc. and Cambridge are not affiliated. Help your employees transition to retirement with ease.